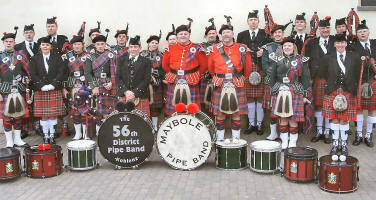 Maybole Pipe band has been travelling to the Rosenmontag Festival in Germany now for twelve years and still band members are amazed by the reception they receive. It turned out that the band had a great time and the playing was made all the easier by dividing the two and a half hour parade into sections where the two bands would either play together or take it in turns to play some of their own sets of tunes. 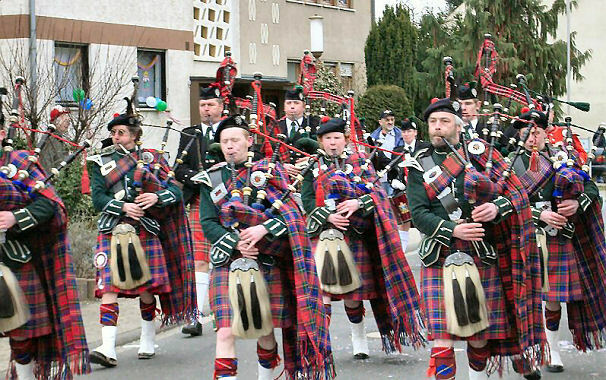 The weather in Germany was extremely cold and Bryce added, “We had to do our best to keep warm whilst dressing in the true Scottish manner - a difficult and perhaps embarrassing situation could have arisen!